If the little "someday I'm going to be a princess" thought bubble that used to shoot up above your head whenever you heard the name "Prince Harry" pops up like mine did when you hear this news, I apologize. And hey, never say never, guys. But things don't look good for our British princess futures, as the Sunday Express reported on Oct. 30 that Prince Harry may be dating a Suits star. If you don't know who Harry's possible girlfriend Meghan Markle is, you likely will soon, if the rumors are true. The Toronto-based actor has taken multiple trips to the U.K. in the past few months, which she has documented on her Instagram account. But the most telling detail is that Markle was seen at Wimbledon chilling in the Royal Box in June. They don't let just anybody sit in the Royal Box, so it makes some sense that Markle has a romantic connection to a member of the royal family. Update: In a statement released Nov. 8, Harry confirmed he is dating Markle and defended her against harassment. Earlier: Us Weekly also pointed out that Markle and Harry were spotted wearing an identical blue beaded bracelet this past year. His Royal Handsome was seen wearing the bracelet in March on a five-day visit to Nepal. Then, the actor who plays paralegal Rachel Zane shared a picture in which she's wearing the same beaded bracelet in an Instagram post on Oct. 20. Either the two shop at the same Primark, or Harry gave his rumored lady love a gift like a straight up courtly prince in Arthurian times (swoon). The possible couple purportedly met in Toronto, according to Express, where Markle lives while shooting Suits. 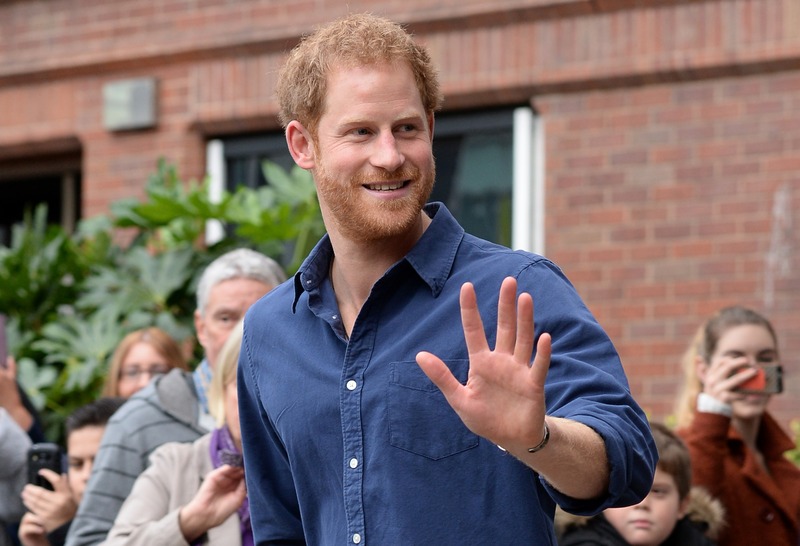 Harry, meanwhile, was in town to promote the Invictus Games for Disabled Servicemen. If he and Markle are a couple, they make a good match. According to an Esquire interview with Markle, she was born and raised in Los Angeles into a show biz family. Her father was a lighting director and director of photography for Married...with Children so she spent a lot of time on the show's set growing up. She wasn't considering carrying on in the family profession, though, until her friend gave a manager a copy of Meghan's college film at a party. Interestingly, the actor also has another job as a calligrapher to support herself between roles. In the Esquire interview, she joked, "What's funny is I probably still have some calligraphy business cards floating out in the world and I can't wait for someone to call me in a month or something, and say, 'Can you do these for my son's Bar Mitzvah?'" Pretty cool, right? Most importantly, though, Markle and Harry share a passion for social justice issues. According to Ebony, the actor has served as the UN Global Ambassador for World Vision Canada's Clean Water Campaign, traveling to Rwanda for the campaign. She was also named the UN Women Advocate for Women’s Leadership & Political Participation while in London to support Emma Watson in her HeforShe Initiative for UN Women in 2015. When Markle isn't acting and being a world representative, she's hanging out with her dogs and running the lifestyle blog, The Tig. This woman stays busy, and can definitely keep up with the guy who's fifth in line for the throne. If the dating rumors are true, there's going to be a made-for-TV movie about it in five years, trust me... An American Princess? That sounds so possible.